The Cyber Security Law is the first national-level legislation establishing principles for the protection of the People’s Republic of China’s cyberspace security and the law is intended to address, amongst others, the need to control China’s critical information infrastructure (CII) and its data. The law focuses on the security challenges facing information infrastructure in a range of critical sectors, such a telecommunications, energy, transportation and finance and addresses unlawful cyber activities including illegally obtaining or selling personal information, disseminating malicious software or prohibited information, and online fraud. The PRC Cybersecurity Law generally imposes obligations on three types of entities: 1. network operators; 2. critical information infrastructure operators; and 3. providers of network products and services. Implement measures to classify, back up, and encrypt data. Network operators must also provide “technical support and assistance” to law enforcement authorities to safeguard national security and investigate crimes. The term “technical support” is not formally defined, and it remains to be seen whether this includes providing backdoor and decryption assistance for encrypted data. To the extent it does, it will permit government access to data stored and potentially to data transferred (such as data in motion) in the PRC. 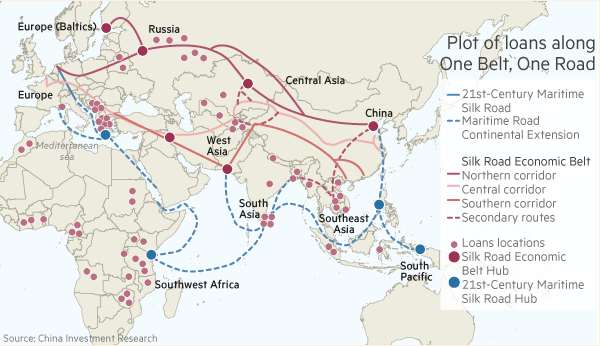 Critical information infrastructure (CII) operators are defined as entities providing services that, if lost or destroyed, would endanger China’s national security, economy, or public interest. The PRC Cybersecurity Law lists public communication and information services, energy, finance, transportation, water conservation, public services, and e-government as examples of CII. Failure to comply with the Cyber Security Law carries penalties, ranging from making corrections to fines and confiscation of unlawful gains. At the end of the spectrum lies temporary suspension of operations, closing down of websites, and revocation of relevant operation permits and the business license. 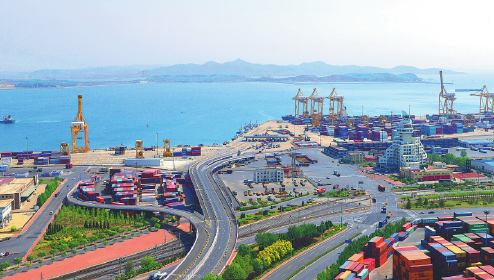 The CAC and other related governmental departments are also entitled to take technical measures and other necessary actions to intervene and stop the transmission of data which is imported from sources outside of PRC and is prohibited by PRC laws from being released or transmitted. One of the most significant and controversial provisions of the PRC Cybersecurity Law restricts the cross-border transfer of personal information and important data collected or generated through operations in China (collectively, Local Data). Specifically, a network operator may transfer Local Data outside of China only if it has a business need to do so and passes a security assessment. Local Data subject to the cross-border transfer requirements consists of “personal information” and “important data.” Notably, the definition of “personal information” is not explicitly limited to information pertaining to Chinese citizens. 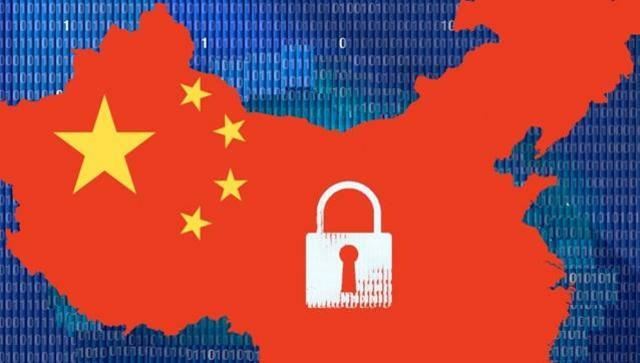 Businesses operating in China should evaluate how the PRC Cybersecurity Law might impact their operations and amend their policies and procedures as necessary. Companies should pay close attention to their data transfer practices to meet the new restrictions on cross-border transfers. Companies should also understand the implications of data localization requirements and the ability of the government to access private and proprietary data stored and transferred in China. This June, China’s Ministry of Finance has unveiled a series of Draft Amendments to its individual income tax (IIT) Laws. These proposed changes are aimed at easing the tax burden for lower-income earners in particular, while taking a tougher stance on both foreigner workers and high-income earners. Below are summarized parts of the Draft Amendments that may affect foreign in China. Already confirmed by the State Council, the Draft Amendments have now been published for public opinion and will undergo further revision before finally coming into effect on January 1, 2019. If these proposals are enacted, foreign companies should pay special attention to changes affecting the timing of the tax levy on foreign employees, foreign labor costs, contract profitability, and budgeting requirements, as well as the rippling effects they have on withholding and tax equalizations. Foreigners living and working in China will now be subject to the 183-day test—a rule that draws upon recognized international practices. This test deems a foreign individual who resides in China for 183 days or more in a year a ‘resident’ and subjects them to Chinese tax on their worldwide income. How to tell the tax identity of foreign individuals? This new 183-day-test will replace the previous five-year-rule under which a foreign individual will be subject to Chinese tax on their worldwide income if they live in China for more than five years. Previously, IIT liability contained a well-known loophole whereby foreigners could ‘reset the clock’. The amendments in effect will make it harder for foreigners to avoid paying tax on their worldwide income tax liability by removing this loophole. The graphic below is the CURRENT calculation of taxable income of foreign individuals. Once the Draft Amendments come into effect, this Five Year Tax Rule is no longer valid. 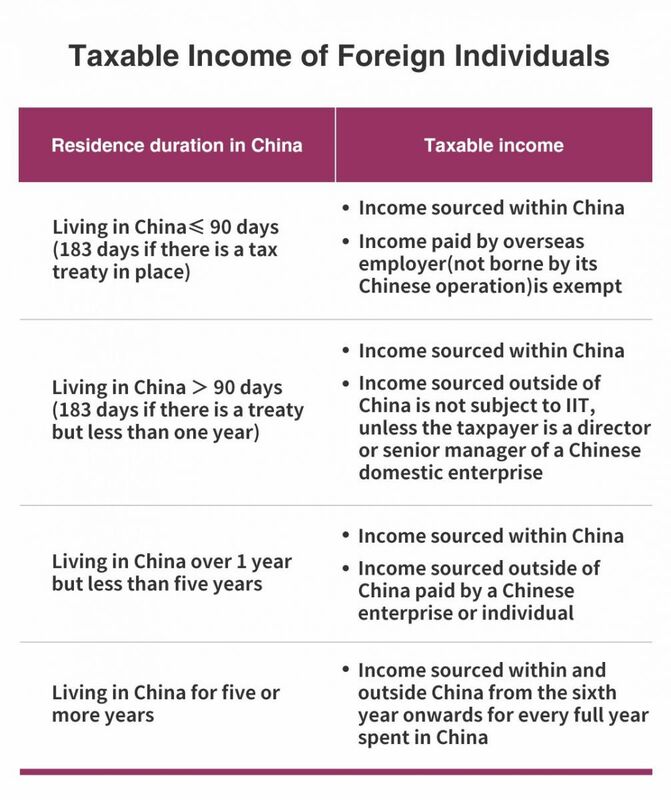 Under the new system, a foreign individual who resides in China for 183 days or more in a year a ‘resident’ and subjects them to Chinese tax on their worldwide income. For resident taxpayers, the Draft Amendments propose raising the personal deduction on comprehensive income from RMB 3,500 to RMB 5,000 per month, raising the annual threshold to RMB 60,000 per year, to take effect from October 1, 2018. For non-resident taxpayers, the RMB 5,000 per month standard deduction will also be applicable to them, to replace the current RMB 4,800 per month standard deduction. However, the current deductible allowances applicable to non-resident taxpayers are no longer available. That is to say, the deductibles for non-resident taxpayers are very likely to be shrinking. If you don't know the current deduction and allowance, check the background below. For comprehensive income: The lower tax brackets have also been expanded—meaning the lower tax rates are now applied on a wider range of income levels, while the higher tax brackets remain the same. 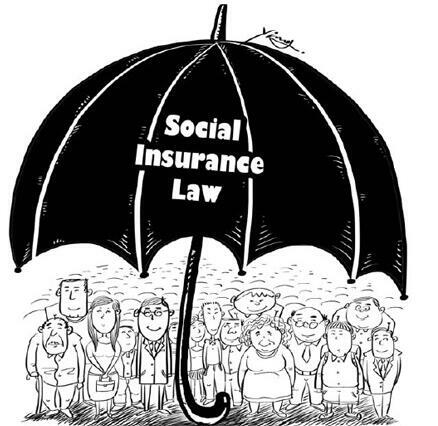 Practically, this means that more people can access lower IIT rates. For example, under the old system, an individual with a taxable income (after deductions) of RMB 10,000 per month will be subject to 25 percent of tax resulting in RMB 1,495 levy every month. Assuming their taxable income remained consistent, in a year they would pay RMB 17,940 in IIT. Under the new system, an individual with the same taxable income will be subject to a 10 percent tax rate and will only need to pay RMB 9,480 (RMB 790 x 12 months) levy every year. Under the new system, the taxpayer would pay little over half the previous tax amount and save RMB 8,460 per year. The final revision will be coming into effect on January 1, 2019. These proposals form part of larger series of tax reforms being implemented by the Chinese Authorities in order to boost consumption amid a slowing economy. Authorities have promised to cut taxes by more than RMB 800 billion in 2018, which will have the effect of reducing government revenue by over five percent. Still in its infant stages of development, many of the details of the Draft Amendments are yet to be released—including details of the residency rules for expatriates and elaboration on the implementation and ongoing administration of many of the rules. If the draft amendment survives the final rounds of scrutiny, the tax burden will be alleviated for the working class of Chinese citizens. The adoption of an annual levy system and the 183-day residence rule also marks a gradual shift towards more international tax practices. 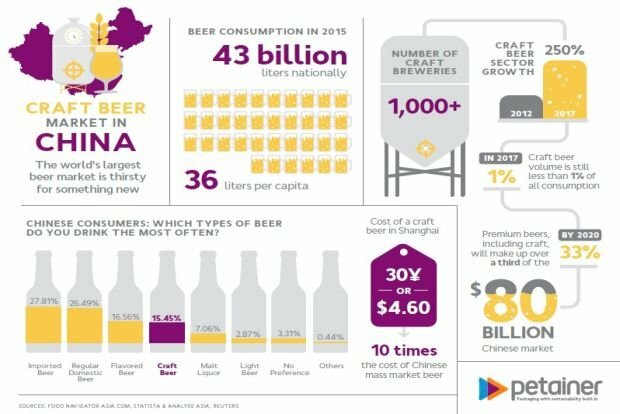 The sheer volume of information being generated in China is having a huge impact on how business operate in China. 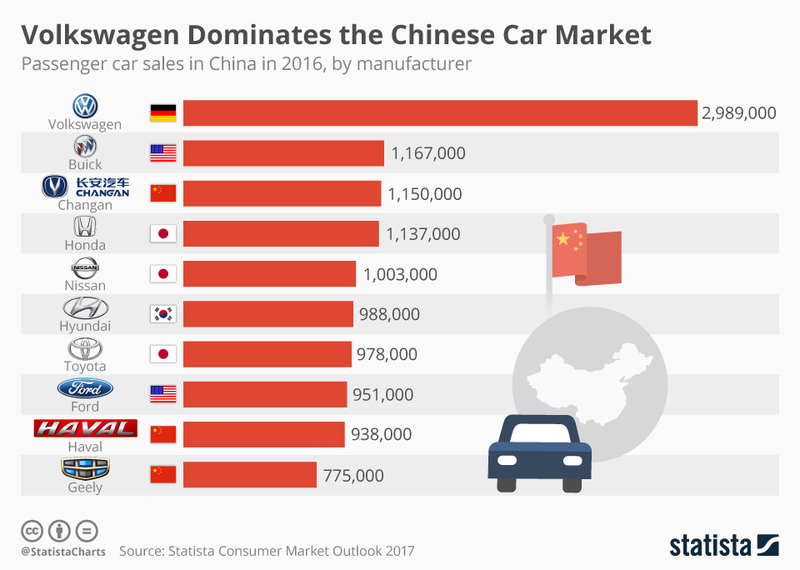 What was not possible to code and develop in China just 3 years ago, is now possibly, more efficient than coding and development in traditional locations such as the US and India. 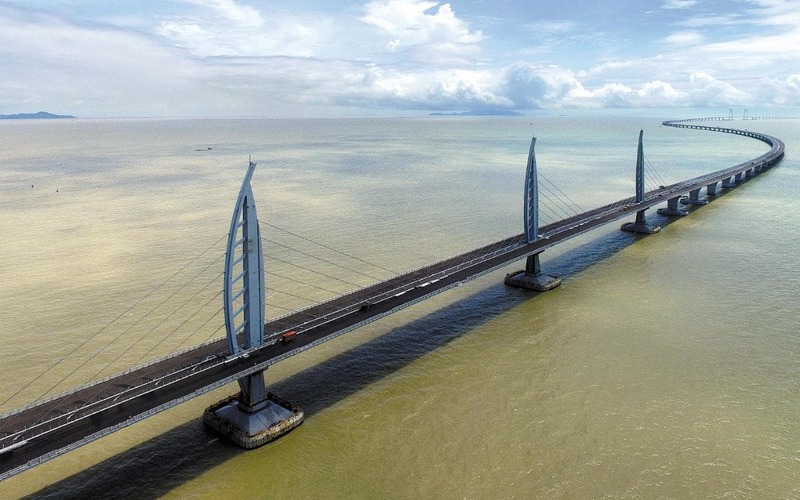 China’s ability to develop, search and hyperlinking technologies has risen exponentially. However, the challenge has now become one of attracting talent rather than searching for non-existent competencies or trying to develop technical expertise in-house. The China's Developer Survey Report 2017, commissioned by Alibaba Cloud Developer Community (ACDC), surveyed over 7,032 developers in Mainland China. In this report, developers shared their preferences for software development, including their favorite OS, development environment, programming language, database, framework, and codebase. Among other things, you can find out about China's software development trends and practices in fields such as cloud computing, big data, artificial intelligence, blockchain, and security. Top 25 trends of developers in China. 67.2% of developers prefer Windows, 20.3% prefer MacOS (OS X), while only 12.5% prefer Linux or other operating systems (OS). Some of the main motivations of using Windows include the familiarity of the OS and the availability of platform resources in China. Owing to the popularity of blogs and forums in Mainland China, Discuz! and WordPress are the heavy favorites among web developers. The developer community in China is heavily male dominated, with only 7.9% of developers are female. This number is slightly higher than the global average of 88.6% (2017 Stack Overflow Global Developer Survey). 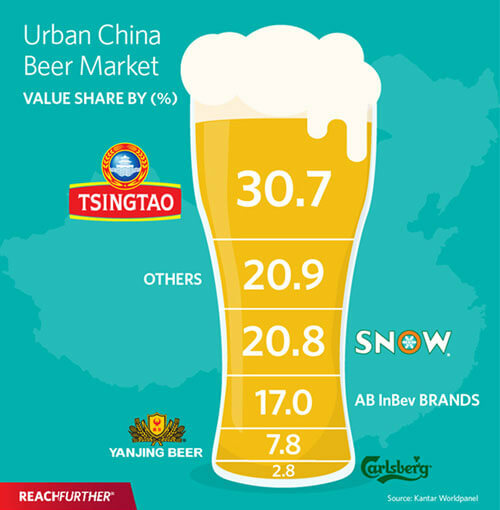 Hangzhou, with the presence of Internet giants such as Alibaba, has transformed from being a fairly unpopular city to the second most preferred city for developers in China. Developers with "front-end engineering" skills are highly employable in Mainland China. Front-end engineering mostly involves feasibility analysis and optimization of projects through detailed planning. The top four integrated development environment (IDE) in China are Eclipse, Notepad++, Visual Studio, and Sublime Text. Major factors for deciding on a development environment include cost and ease of use. The “Open Source” nature of MySQL makes it a popular choice among developers compared with more traditional databases such as SQL Server. Oracle is also a popular option, but its adoption is hampered by its price tag. Private, public, and hybrid cloud are all of equal importance in China. Instead of having preference on a single deployment model, developers in China focus on the coexistence of multiple alternatives for different applications. A typical developer in Beijing earns an average of RMB 9,240 (USD 1457) a month, which is higher than the city average. The monthly income for 32.2% of developers in China falls within the RMB 10,000 – RMB 20,000 range. In China, there are no concrete distinctions between enterprise and social communication tools. Developers prefer to use social IM tools, such as DingTalk, QQ, and WeChat, as their primary communication tool. DingTalk users tend to be those from higher income levels. Hadoop HDFS offline storage and Hbase online storage are two popular alternatives to relational databases for data storage. More and more enterprises in China are embracing Big Data and its technologies, specifically in the IoT, finance, and e-commerce industries. A majority (56.7%) of developers in China have only 0-3 years of work experience. This suggests that the developer community in China is less experienced as compared with international peers (42% have 3-10 years of experience). Developers in China are facing a multitude of challenges when dealing with neuro-linguistic programming (NLP) and voice recognition. These challenges stem from the complex structure of the Chinese language, as well as limited resources for voice data. This result suggests that China's developer are better educated than their global peers on average. 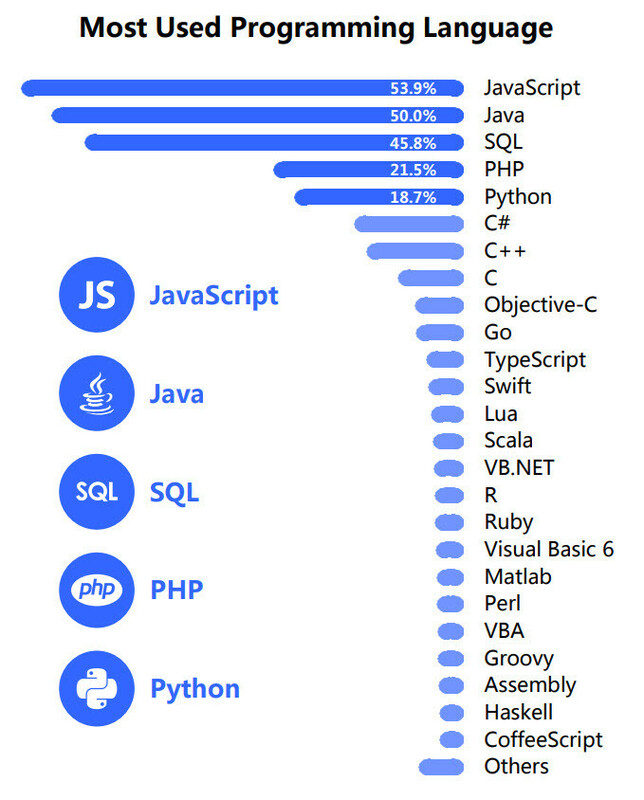 According to the 2017 Stack Overflow Global Developer Survey, only 56.6% of developers globally have bachelor or higher degrees. Similar to developers from around the world, Node.js, AngularJS, and .NET Core are the three most preferred application framework and codebase in China. From food delivery to bike renting, mobile applications have become a necessity in China. For mobile developers, React Native and jQuery Mobile are the two most popular cross-platform solutions in China. 30.7% of developers use GitHub to host source codes, while 30.5% of developers use internal corporate tools. China-developed repositories are still not widely adopted, with Alibaba Cloud Code repository being used by only 10.2% of developers. When teamwork is required, China's developers would first choose Git (45.9%) as the version management tool, while SVN (38.9%) comes second. 45.6% of developers choose agile/scrum development models as their first choice, followed by the traditional waterfall development model (36.4%). Ethereum is popular among China's developers because it is open source and provides good support for new developers. Because Bitcoin transactions is suspended in China (as of 2018), many developers are still exploring other possibilities of using blockchain as a service. As many as 49.5% of developers have never used any development integration management tools. However, there is also a significant minority (31.8%) of developers who use Jenkins to automate software development processes. 70% of developers in China are well aware of the importance of security for enterprises, with a strong emphasis on invasion detection and loophole scanning. However, enterprises in China do not invest enough on security. In China, 52.7% of developers are working on web development-related projects. Emerging fields such as Big Data, cloud computing, and security are still in great need for experienced developers. From denim jeans to generic brand T-shirts, the go-to attire for China's developers is pretty similar with developers from across the globe. Furthermore, the vast majority of developers in China are self-proclaimed introverts and have close affinity for computer games. By Saurav Bhattacharyya for China Brain. When you are looking at optimizing your online presence in China, there’s really only one search engine to worry about; Baidu, which until recently claimed almost 80% of the search share. Last year it took a small dip when Qihoo, a local security vendor and internet provider, launched its own search engine, 360 Search and gained around 15% market share but it still handles 60-70% of all web searches in China. 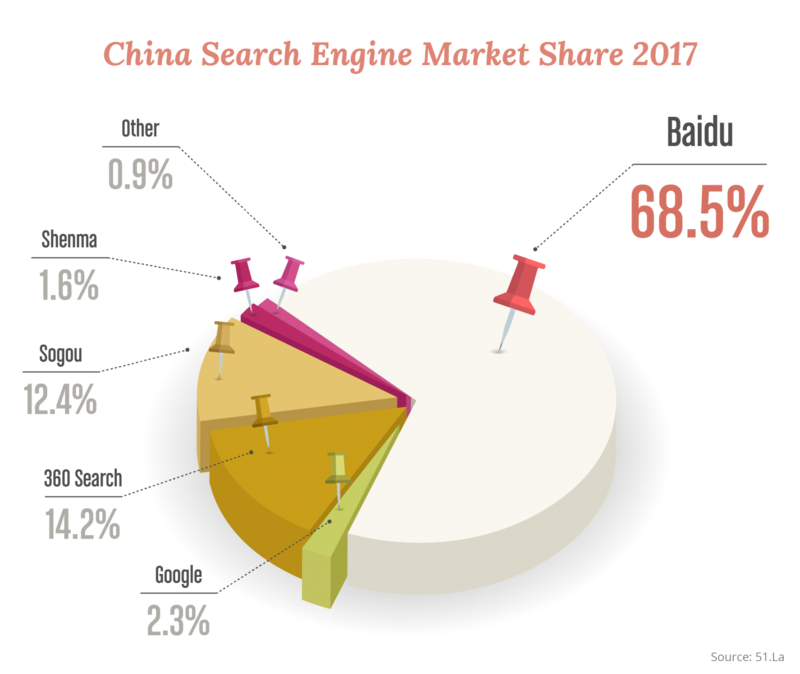 In the same way that Google dominates the search space in the United States, Baidu dominate the mainland China search market. A combination of government restrictions, local knowledge, language skills, and more than a little skill has seen Baidu emerge as the search engine of choice for the half a billion Chinese who use the internet regularly. As a result, Baidu’s search engine is the cornerstone for companies looking to expand their businesses in China. But even if a company has a handle on how to negotiate and optimize their website for foreign search engines attempting to do the same for Baidu is not possible: Baidu is not Google, and optimizing your site for Baidu is a different process than optimizing for Google. Hosting. Whereas other search engines don’t particularly care where your site is hosted (save for any impact on site speed, of course) Baidu wants your site hosted in China. While Hong Kong servers also count for this purpose and has the bandwidth to serve the mainland, Taiwan definitely does not. Physical Address. Baidu favors sites that have a physical presence in China, or at least the semblance of a physical presence. This doesn’t mean that you need to open and staff a Beijing office or rent space in Shanghai. But you should make sure that you have local Chinese contact details on your site. Censorship. The Chinese government enforces a strict censorship regime for all online activities in China. Baidu indexes sites in line with this policy so anything that violates the censorship regime will see a site either refused listing or de-indexed from Baidu’s database. ICP License. Typical of China’s bureaucratic governance all websites should apply for an Internet Content Publishing (ICP) license. It is not difficult to obtain but generally takes around a month to secure when documents are all in order. Without an ICP license, ranking high on a Baidu is difficult. Language. Your site should present its content in Chinese, but be warned: not all Chinese is Chinese to Baidu. Baidu has a strong preference for Simplified Chinese (otherwise know as Mandarin) and while it will also index Traditional Chinese, it doesn’t rank dialects, Cantonese, or other foreign language sites (English, French, Spanish, or German) highly. Title Tags. These should include your keyword and be written in the same style as per Google or another search engine. However, Baidu also encourages sites to put their brand or company name in every title, too, preferably at the end of the title. Meta-Descriptions. While a minor ranking factor for Google, Baidu ranks sites with relevant meta-descriptions that include the page or post’s keyword higher than those that ignore this meta-element. Make sure your meta-descriptions are well written to rank higher. Alt-Tags. Baidu prefers all images include an alt-tag that is relevant to the post and page it is published on. For businesses building a local Chinese site based on an existing English language site, these tags are so easily overlooked. Make it part of your initial site build to add these. H-Tags. Baidu treats h-tags similarly to other search engines. Every page should have at least a H1 tag, and H2 and H3 tags should be used to break up content without skipping any heading levels. Make sure your keywords are repeated in your H-Tags. New Content. Baidu favors newer content over older content and so a useful optimization strategy is the regular creation and publication of new, fresh content. For business this could include hosting a blog, regularly adding press releases and media releases, and ensuring that content is engaging and is published on a regular schedule. Unique Content. All search engine penalize duplicate content but Baidu is particularly harsh. Your content should be unique, not only on your site but also online. This means being aware of ‘scrapers’ and bots that take your content and republish it elsewhere on the web. Acting quickly to address instances of plagiarism will help avoid penalties from Baidu for duplicate content. Anchor Text. Baidu pays close attention to your anchor text so for internal links (those directing users to another part of your site instead of an external URL) you should make sure you are aligning the anchor text with the nominated keyword for that page or blog post. This is good SEO practice for other search engines, too, but especially important for Baidu and in China more generally. To the Top. Numerous China-based SEOs report that the Baidu crawlers are not as powerful as Google’s bots, and recommend placing important keywords near the top of the page. While this is a good strategy for Western search engines, too, it is especially important if Baidu’s crawler does not manage to make it to the bottom of your content before moving on. Multiple Domains. Baidu penalizes sites that include multiple domains and sub-domains. Your Chinese site (.cn) should be only your Chinese site. Do not host your Taiwanese, Mongolian, or Vietnamese site on a sub-domain, or even on the same server. Stick to a single Chinese language or bi-lingual site with a single domain hosted in China. Flash. While Google has had the ability to crawl and index Flash-based sites and Flash elements since 2008, Baidu does not crawl Flash and will not index Flash elements in its database. Avoid Flash altogether for your Chinese. Baidu Webmaster Tools. Like other search engines, Baidu has its own Webmaster Tools package. It i worth registering with Baidu’s Webmaster Tools for, even if they remain less advanced than Google or Bing, they allow website owners to gather basic statistics, check sitemaps are correct, and check robots.txt films are in order. Find the (Chinese language only) Webmaster Tools here. Quantity Counts. Baidu is a little different to other search engines in that it considers the number of backlinks pointing to your site an important ranking factor in determining your site ranking. This, of course, opens the door to link farming and all sorts of black-hat SEO techniques that fail on Google but still work – to a certain extent – on Baidu. However, engaging in these sorts of practices is something you’ll do at your own risk: Baidu is constantly improving and while the end is not yet nigh for this sort of thing, it is growing closer every day. Quality Counts. The quality of the backlinks pointing to your site continues to grow in importance on Baidu. As the search engine evolves, this is expected to only become more important, too. Hence, building quality backlinks to your website is going to be a key to achieving and maintaining a ranking for the keywords that you’ve identified as important for your Chinese language business activities. Search engine optimization (SEO) should be seen and a progressive thing done over months, not a one time fix: its all about making small changes and refinements over time. Expect your site to progressively gain viewers and site search position for your main keywords. Saurav Bhattacharyya is Managing Director of China Web Designers, a Beijing based website localization and development company. Having lived and workied in China since 1997, he has an excellent understading of the China internet landscape and issues foreign companies, in particular, face when considering their on-line presence. 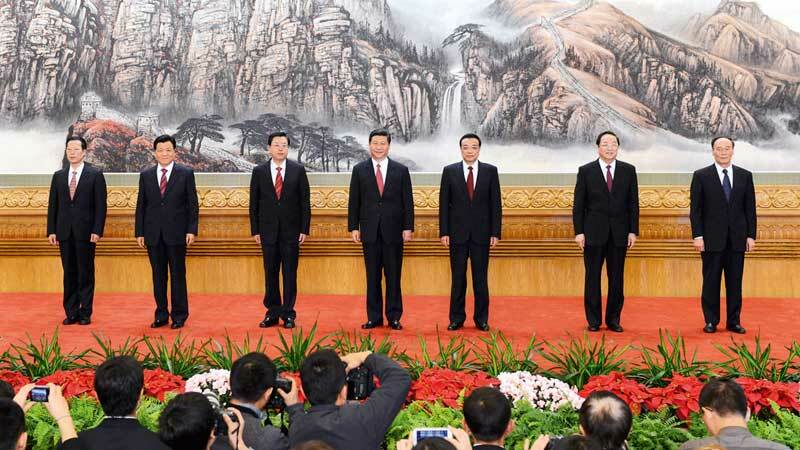 Last week saw The Communist Party of China (CPC) unveiled a new leadership line-up for the next 5 years. Xi Jinping was again elected general secretary of the CPC Central Committee, leading its seven-seat Political Bureau Standing Committee. The other six members of the top leadership are Li Keqiang, Li Zhanshu, Wang Yang, Wang Huning, Zhao Leji and Han Zheng. For the first time, all Standing Committee members of the Political Bureau were born after the founding of the People's Republic of China in 1949. Xi Jinping, 64, retains his spot on top of the Party pecking order, entering his second term as General Secretary and third term on the PSC. Xi is considered China’s most powerful leader since at least Deng Xiaoping, and perhaps even Mao Zedong. At the 19th Party Congress, he became the only leader besides Mao to have his name written into the Party constitution while living. Last year, he earned the designation of “core leader” of the Party, a title his predecessor Hu Jintao did not obtain. Xi also holds the titles of President of the People’s Republic of China and Chairman of the Central Military Commission. Born in Beijing, he is the son of Party legend Xi Zhongxun. During the Cultural Revolution, he lived in a cave and performed manual labor in Shaanxi province. Before rising to the PSC in 2007, Xi held leadership positions in Fujian and Zhejiang provinces, as well as a brief stop in Shanghai. Li Keqiang, 62, continues to hold the number two position on the PSC as Premier of the State Council, China’s cabinet. The position makes him head of the Chinese government and economic affairs. Li holds a PhD in economics from China’s prestigious Peking University, and is known to hold more market-oriented policy preferences than many others in the Party. He rose through Party ranks as a member of the Communist Youth League, and was a protégé of former president Hu Jintao, who reportedly wanted Li to be his successor. Prior to joining the PSC alongside Xi in 2007, Li held leadership posts in Henan province from 2002 to 2004 and Liaoning province from 2004 to 2007. He was born in Hefei, the capital of Anhui province. Although he carries several responsibilities as Premier, including instituting economic reforms and combatting pollution, he is generally considered less powerful than his predecessors Wen Jiabao and Zhu Rongji. Li Zhanshu enters the PSC as the third-ranking member. He is a trusted associate of Xi, having been his chief of staff since 2012. At 67 years old, he narrowly avoided the age cut-off to join the PSC. With his ascension to the PSC, Li is expected to head the National People’s Congress, China’s parliament. Currently, he is the Director of the General Office of the Communist Party of China and Chief of the General Office of the National Security Commission. Li first met Xi when the two held Party positions in Hebei province, where he was born, in the 1980s. Li later held leadership positions in Heilongjiang and Guizhou provinces, as well as in the city of Xi’an, the capital of Shaanxi province. Wang Yang, 62, is the fourth-ranking member of the new PSC. He will reportedly take the position of Chairman of the Chinese People’s Consultative Conference, China’s top political advisory body. Currently, Wang is China’s Vice Premier. Along with Li Keqiang, he is widely considered one of the most liberal reformers among China’s leadership, and is also connected to former president Hu Jintao. Wang is credited with being instrumental in the development of Chongqing, where he was Party Secretary from 2005 to 2007. From 2007 to 2012, he was Party Secretary of Guangdong province, which has the highest GDP and largest population of China’s provinces. Wang Huning, 62, emerged from the 19th Party Congress ranking fifth on the PSC. Wang has long been considered one of the Party’s top political theorists, and will head ideology, propaganda, and party organization. He is currently the Director of the Central Policy Research Office, which is responsible for drafting the guiding theories and ideology of the Party. Wang is widely considered to have been essential in forming the former president Jiang Zemin’s “Three Represents” theory, Hu Jintao’s “Scientific Development” theory, as well as Xi’s “China Dream” and “Xi Jinping Thought on Socialism with Chinese Characteristics for a New Era”. Wang rose to prominence through a brief but prolific career as an academic at Shanghai’s Fudan University, where he wrote on both foreign and domestic affairs. He is considered a close confidante of Xi, with whom his theory of “neo-authoritarianism” and tough stance on corruption has proved highly influential. Zhao Leji, 60, enters the PSC in the sixth spot. He is poised to take over Wang Qishan’s role as Secretary of the Central Commission for Discipline Inspection, making him China’s anti-corruption czar. Currently, Zhao is the head of the powerful Organization Department of the Central Committee, which manages personnel and promotions within the Party. From 2003 to 2007, Zhao was Party Secretary of Qinghai province, where he was born, and from 2007 to 2012 was the Party Secretary of Shaanxi province. Zhao’s connections to Shaanxi province, where is family is originally from, are believed to be how he formed ties with Xi, with whom he is a strong supporter. Han Zheng, 63, takes the seventh and final spot on the PSC. He is tipped to take over the role of Executive Vice Premier. Han has deep ties to Shanghai, where he was born, grew up, and attended university. He was Mayor of Shanghai from 2003 to 2012, and acting Party Secretary of Shanghai from 2006 to 2007. He succeeded Xi as Shanghai’s full time Party Secretary in 2012. Han was known as a close associate of Jiang Zemin, who also has strong ties to Shanghai. He became acquainted with Xi when the two overlapped in Shanghai, with Han as Mayor and Xi and Party Secretary. Whether you’re a full-time inventor or just someone with a really good idea, don’t wait around to patent your inventions and designs – because if you do, you risk having it stolen away from you, with no way to get it back. 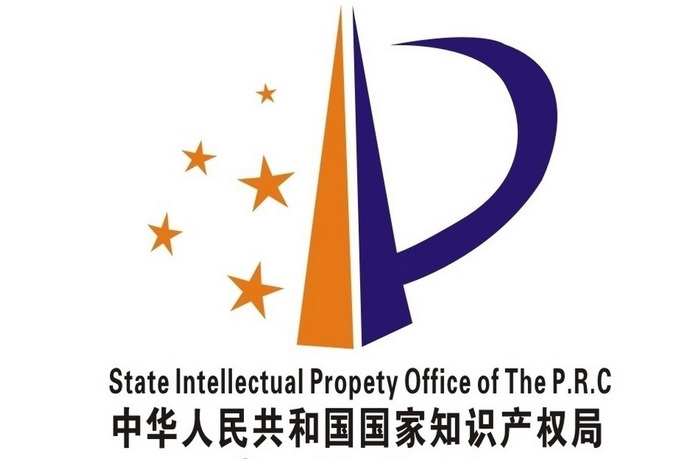 You can register your patent within China through the State Intellectual Property Office. And because China is one of the 176 member countries of the Paris Convention on the Protection of Industrial Property, patents registered in China enjoy a “priority right” when being registered in other countries. This means that within 12 months (for invention patents) or six months (for patents based on exterior design appearance) of applying in China, the owner can apply for patents in other member countries within Paris Convention at the same time, with each country’s registration date for the foreign patents being backdated to when it was first given within China. Alternatively, if you want to get an internationally effective patent from the beginning, you can choose to apply for the PCT patent protocol. This is supervised by the World Intellectual Property Organization, of which China is a member country. This option (as an alternative to just registering in China) will be given to you during the registration process. If you choose to follow the PCT protocol then your patent will be automatically registered in all member countries, including China. However, this method costs more money and means a longer wait for the patent to be granted. If you want to register a patent you should make sure that nobody else has had the same idea. To do that you’ll need to search the State Intellectual Property Office’s database of patents that have already been registered – you can check that out by clicking here. After preparing all files needed, you can post all files to the State Intellectual Property Office (the postal address is listed at the bottom of this article), or hand-deliver to reception offices in some cities in China. The application fee can be paid at one of the offices when hand-delivering files, through a bank transfer, or through a postal transfer. If you post the application documents, a fee should be paid after the applicant receiving notice of acceptance from the office. State Intellectual Property Office, No. 6, Xitucheng lu, Jimen qiao, Haidian district, Beijing.